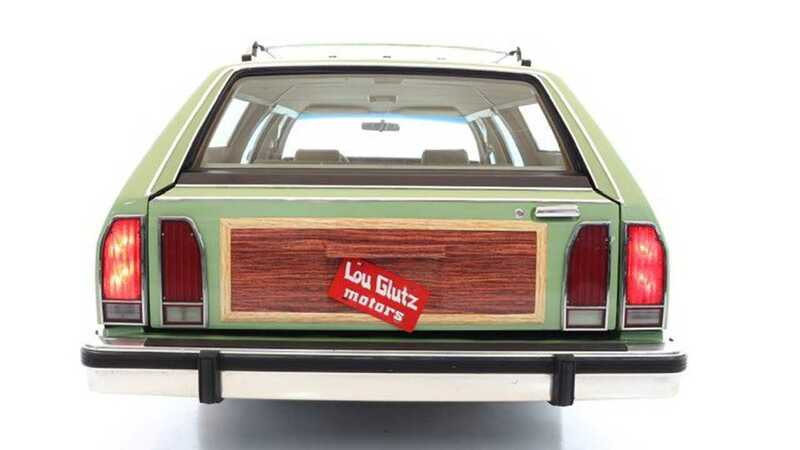 In 1983, the National Lampoon’s Vacation hit the big screen, and with it, one of Hollywood’s weirder star cars. 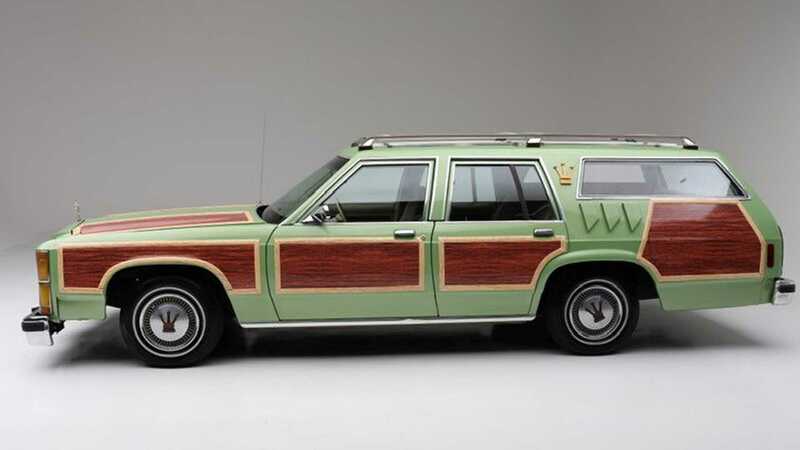 Despite the amusing fictional model, this Wagon Queen Family Truckster is a replica of the original movie car that was manned by Chevy Chase through several hijinks. Now it is one its way to Florida next for the Barrett-Jackson auction on April 11-13. 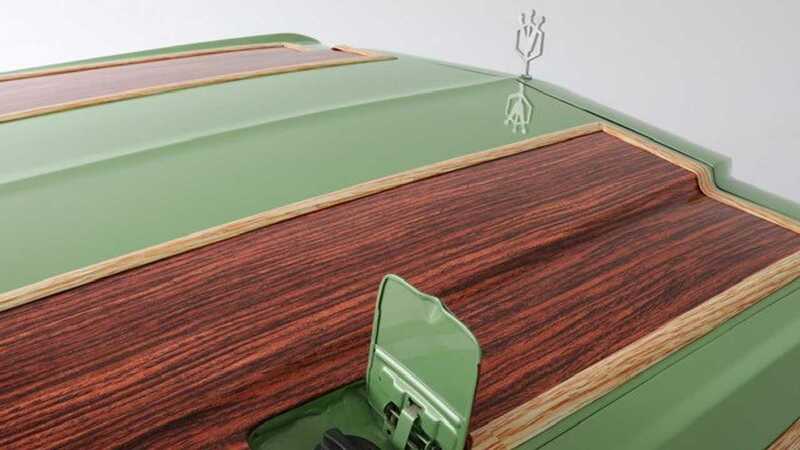 Based on the 1979 Ford LTD Country Squire, this classic Panther body saw some upgrades to remove any subtlety associated with the model. 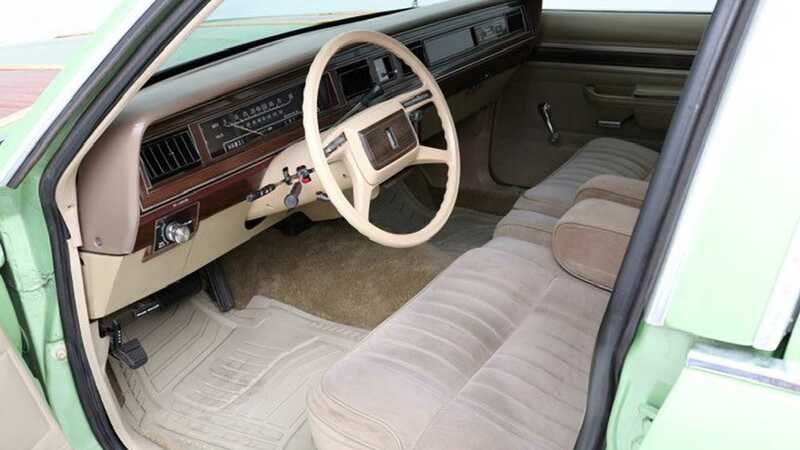 Whilst based on the ‘79 model shown in the movie, the car available here is a 1981 model and the only inaccuracy described is the slightly lighter interior. 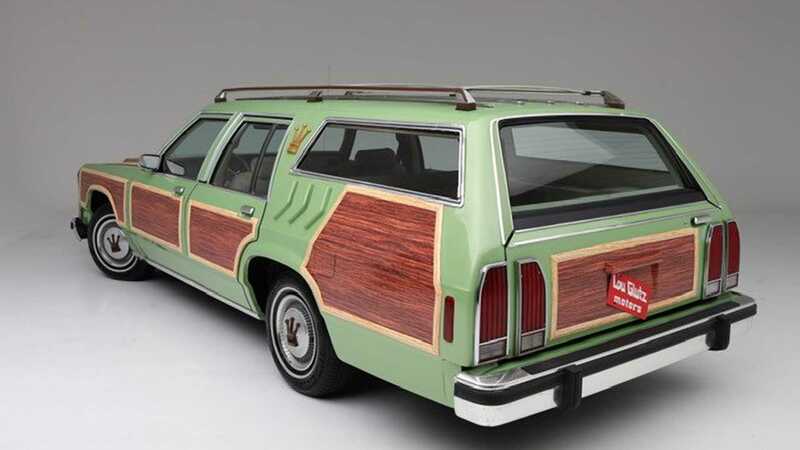 The pea exterior is well renowned as the shining feature of the Truckster, along with some particularly obnoxious wood panelling that makes even OEM counterparts look positively modern by comparison. Gold crown hubcaps complete the bizarre exterior look, along with the dazzling quad light setup that adds a further set of headlights below the originals. 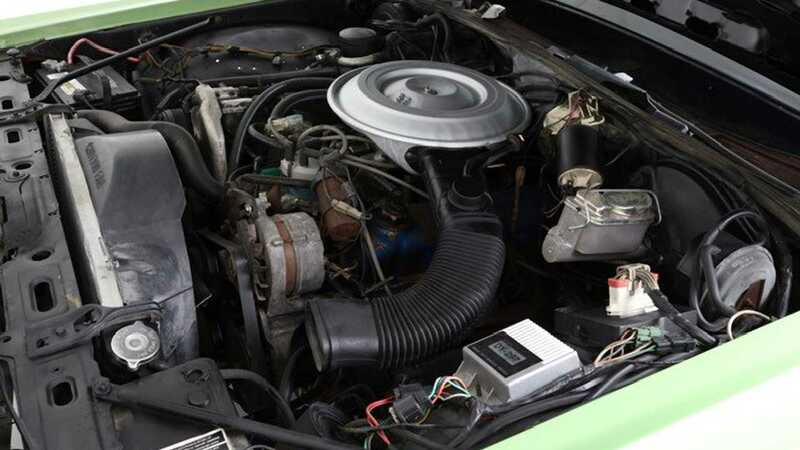 Naturally, the Ford Windsor V8 is nestled under the hood as per the movie car, along with a four speed automatic transmission. 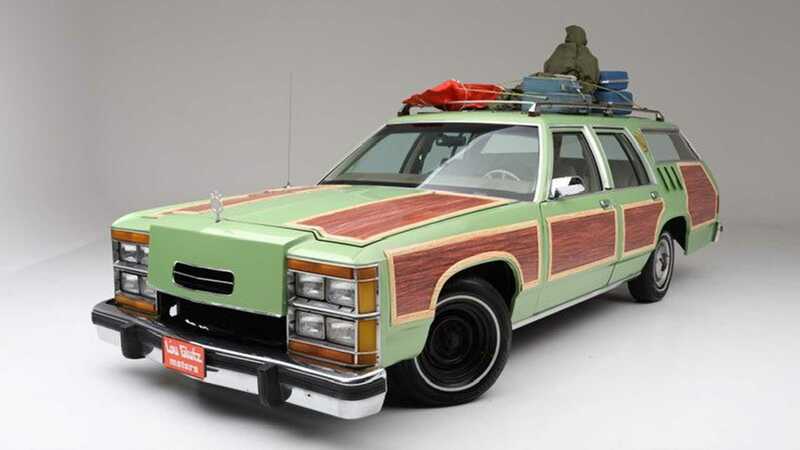 Despite there being five movie cars, each was supposedly modified in different ways to accommodate the hilarity from many of the movies scenes. Although this is a replica, values are uncertain - but it is certain that this is about as close to the original as you're going to find for sale anytime soon. 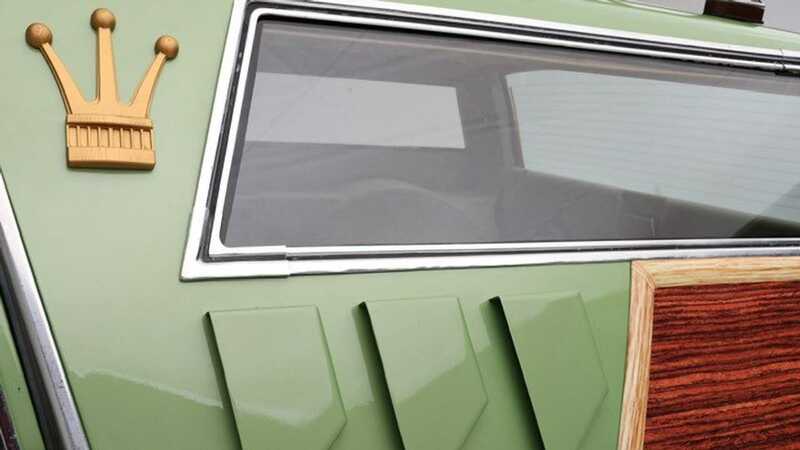 One of the actual movie cars fell under the hammer in 2013 for $39,000, so perhaps this could be something of a bargain to someone to live out their exuberant family lifestyle.